A French biotechnology firm has developed “plant milking technology” to extract rare chemical compounds that can be used in the manufacture of cosmetics and pharmaceuticals. Plant Advanced Technologies, based in Nancy in North East France, cultivates rare, slow-growing plants in greenhouses using aeroponics, a method of growing that uses air and mist to transfer nutrients instead of soil. The plants are fed a mix of nutrients designed to stimulate the growth of bigger roots. These roots are dipped in a solvent that increases their permeability and makes it easier to extract the high value materials. 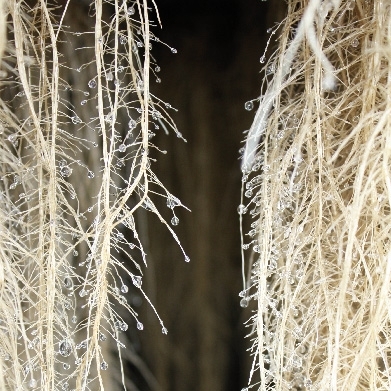 The roots are then “milked” either physically or chemically to harvest the desired materials in a liquid solution. The molecules secreted in the liquid nutrient solution are trapped by classical means, such as chromatography, ultra-filtration or crystallization and concentrated as bulk extracts. Further steps of separation and purification lead to pure molecules. The major advantage and innovation is that the plants are not destroyed in the process, meaning they can be “milked” several times a year, massively increasing the potential yield and opening up the possibility of mass-producing valuable natural extracts that are too complex to synthesize. Frédéric Bourgaud, research director for Plant Advanced Technologies, says: “The plants produce active substances in their roots naturally that help them to defend themselves against aggressors in their environment. The company currently produces a range of antioxidants and essential oils for the skin care market and plans to license its technology for use by other companies. It is also testing and developing processes to manufacture from plants rare substances that can be used in medicines for treating osteoporosis in women or for treating certain cancers and genetic disorders. The company is also part of a €6 million EU-funded research project, SmartCell, which aims to develop tools for synthesising the most valuable pharmaceutical products using plant cells. Plant Advanced Technologies was spun out from the Institute of Technology in Nancy in 2005. The technology was originally developed as an economical alternative to in-vitro plant cell culture.